♦ A dangerous goods ruler for section 4.2. Recognised by airlines worldwide, the IATA Dangerous Goods Regulations (DGR) is THE industry standard for shipping dangerous goods by air. It is the most complete, up-to-date and user friendly reference manual for the industry. Trusted and relied upon by airlines, shippers, packers and consigners for over 60 years. IATA DGR 60th Edition 2019. This publication is also available in Spiral bound format which is ideal for trainers and regular users. 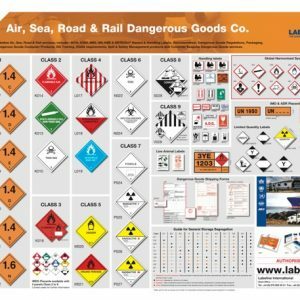 Please see our compliant Hazard Labels and Handling Marks please visit our Dangerous Goods Labels pages. Labeline is IATA’s top performing distributor Worldwide and the only UK and IR Republic approved distributor for all Multi-Mode DG regulations. BUY WITH CONFIDENCE: Always purchase where you see these IATA copyright images and this IATA logo – your publication could be invalidated without them! Labeline is an approved distributor and committed to providing our clients with a 1st class service, ongoing support and updates. IATA DGR 59th Edition 2019. Recognised by airlines worldwide, the IATA Dangerous Goods Regulations (DGR) is the industry standard for shipping dangerous goods by air. Therefore, It is the most complete, up-to-date and user-friendly reference manual trusted by the industry for over 60 years. As maintaining compliance with the latest regulations is critical for safely shipping dangerous goods by air this new edition of the DGR is certainly essential. 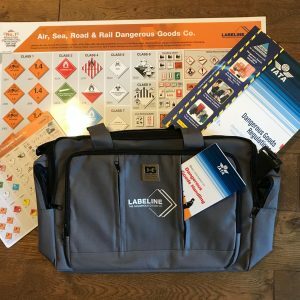 The DGR 60th edition draws from the industry’s most trustworthy cargo sources to help you classify, pack, mark, label and document shipments of dangerous goods. 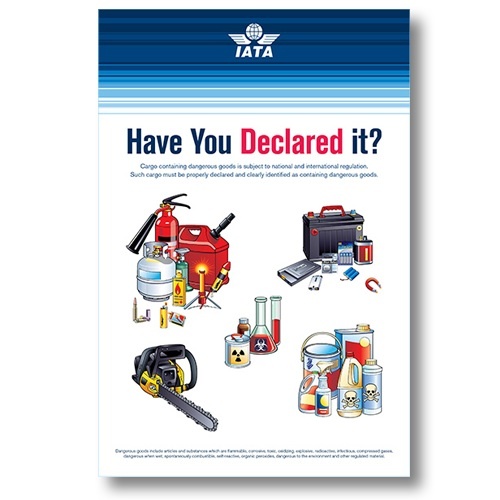 Included with this international Dangerous Goods Air regulatory publication are the State and Airline requirements. It is an invaluable resource in ensuring you have all the information you need to ship safely and in compliance, at your fingertips. – A global reference for shipping dangerous goods by air and the only standard recognised by the global Airline industry. – Furthermore, everything you need to prepare dangerous goods shipments in compliance with international air transport regulations. Changes for the IATA Dangerous Goods Regulations DGR 59th edition will take effect 1st January 2018.